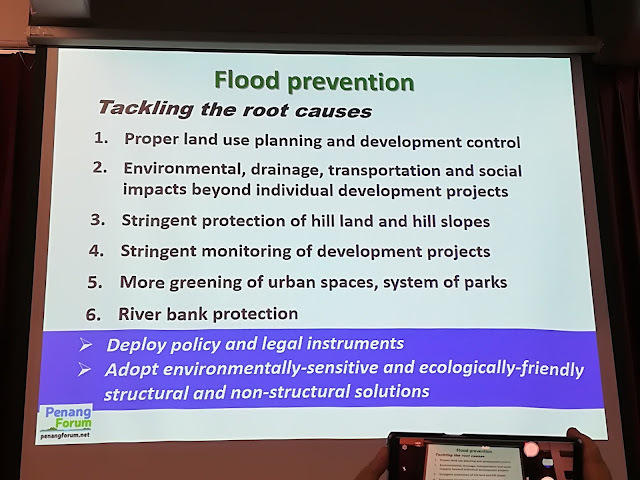 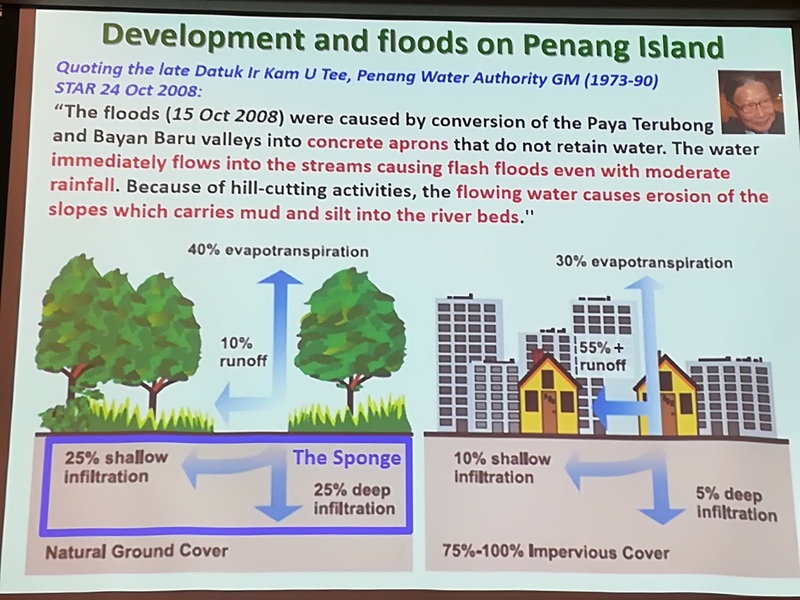 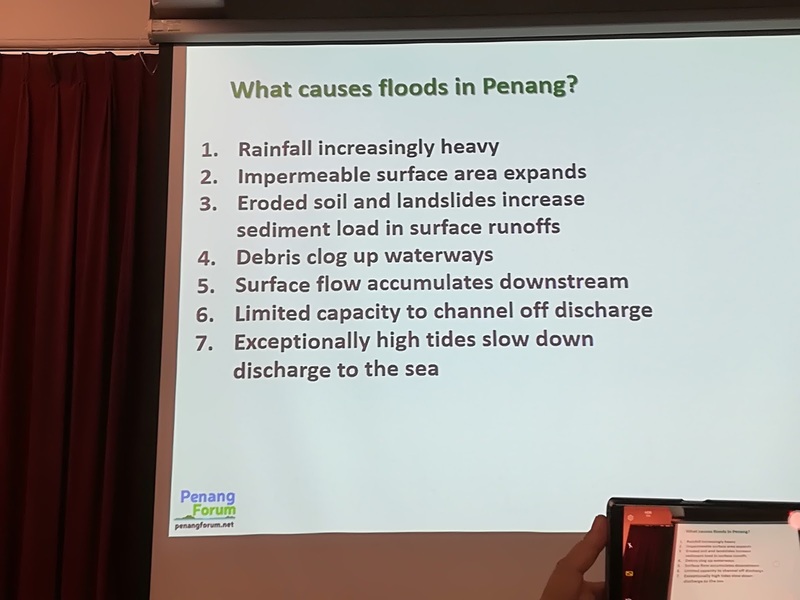 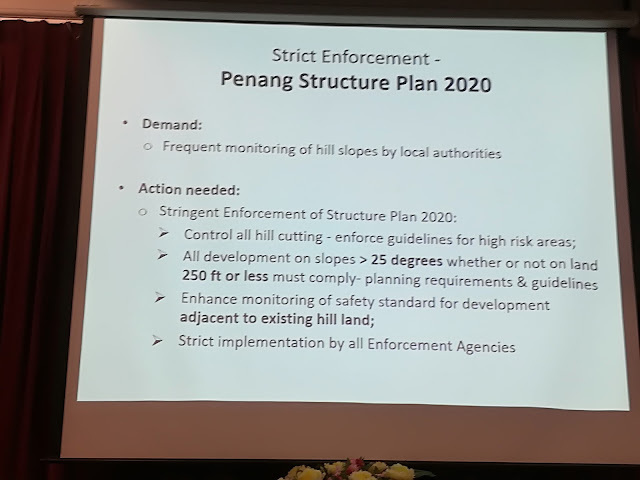 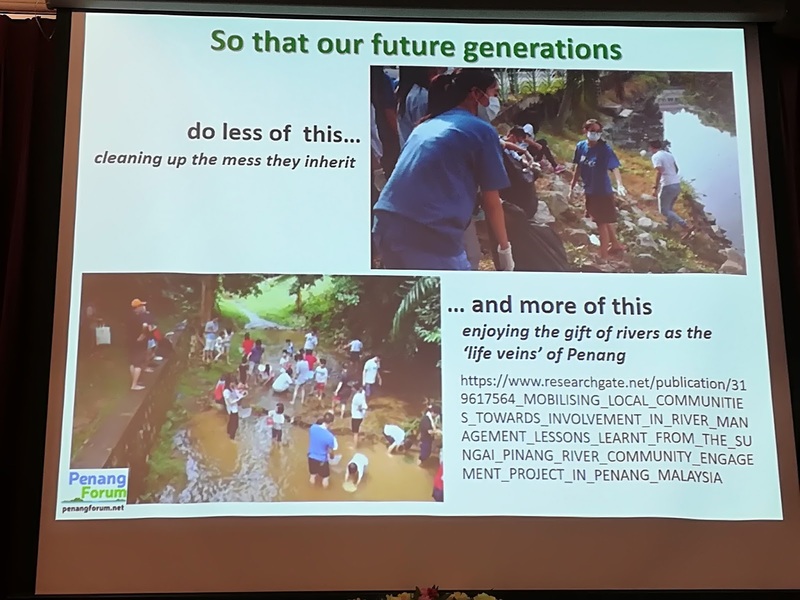 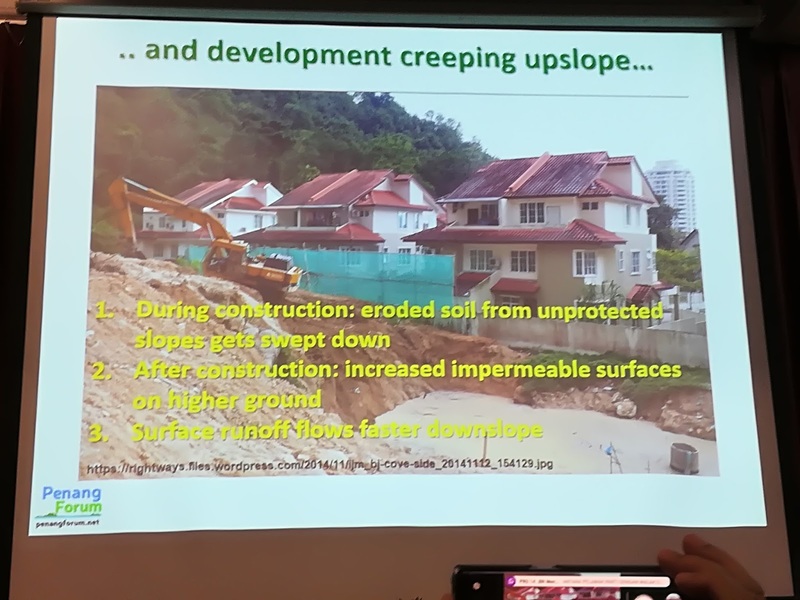 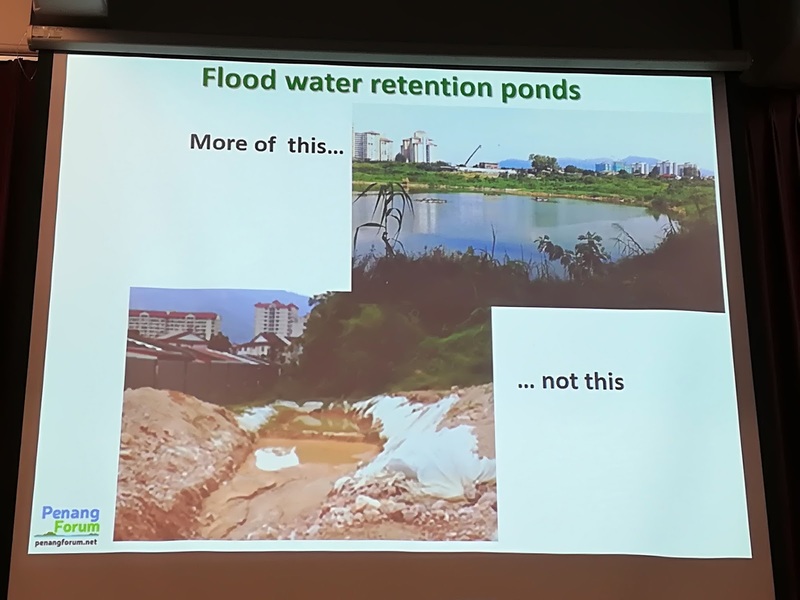 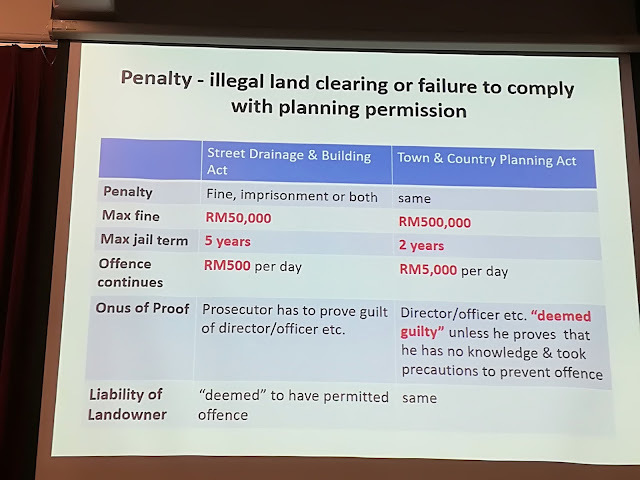 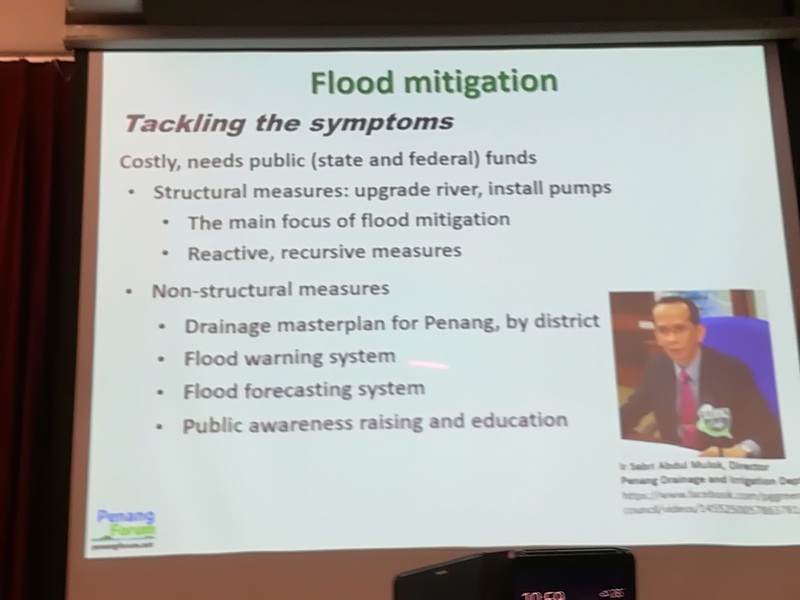 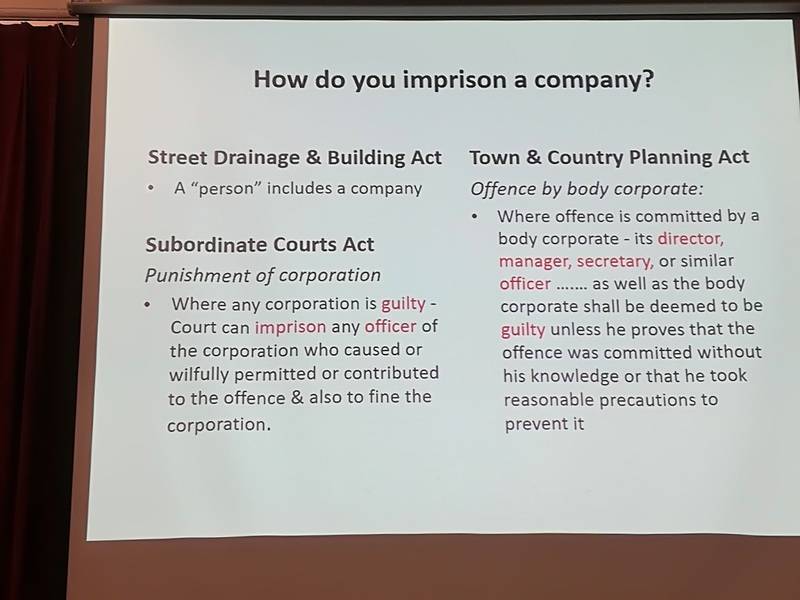 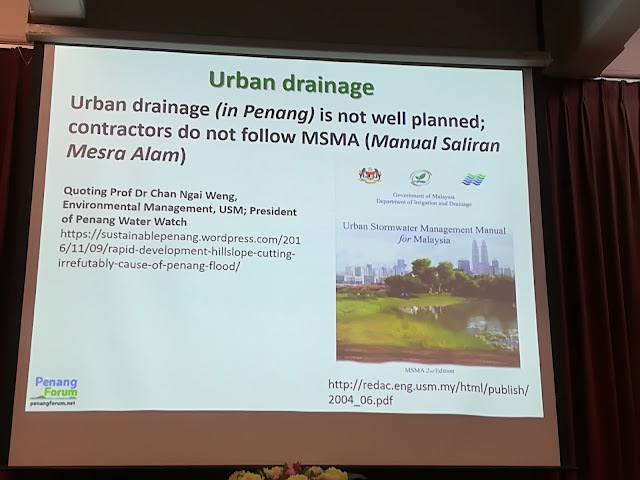 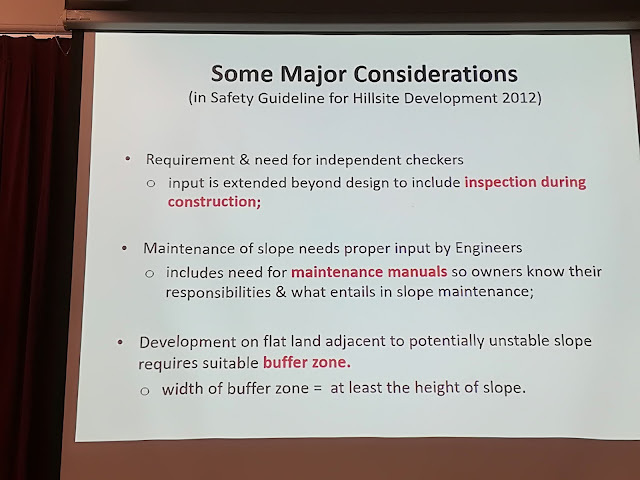 She quoted Datuk Kam U Tee, the Penang Water Authority general manager (1973­~90), as having correctly explained the Penang floods of October 2008, as follows: the floods were caused by conversion of the Paya Terubong and Bayan Baru valleys into “concrete aprons that do not retain water. The water immediately flows into streams causing flash floods even with moderate rainfall. 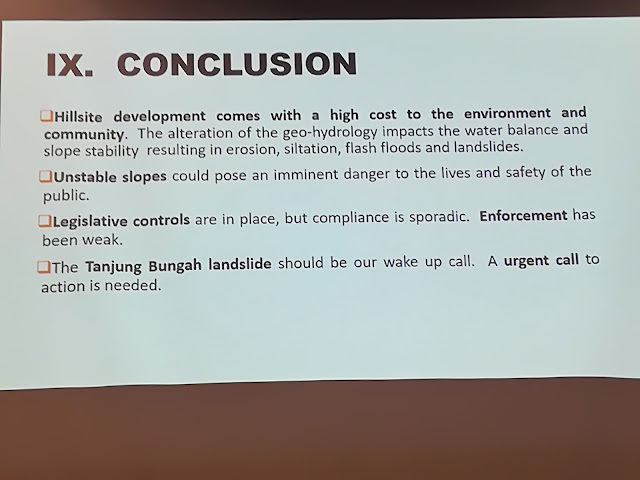 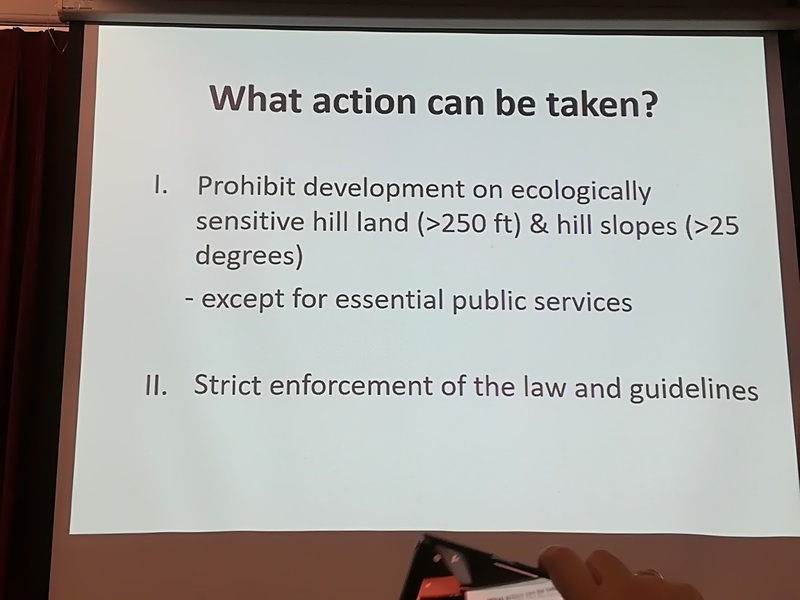 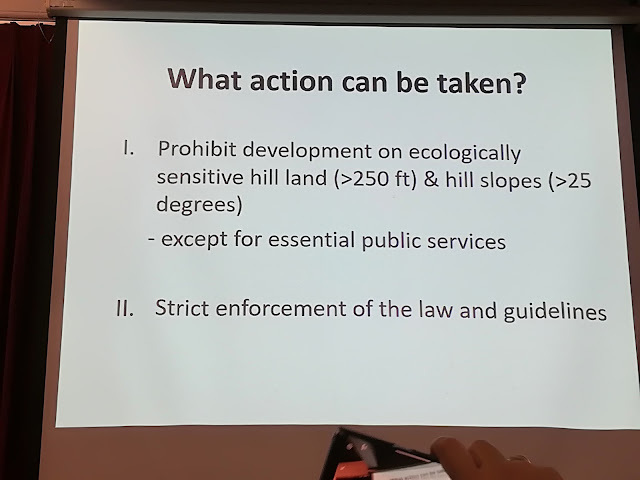 Because of hill­cutting activities, the flowing water causes erosion of the slopes which carries mud and silt into the river beds”. ( The Star, Oct 24, 2008).